As an accomplished professional with over 20 years of experience in the Real Estate Industry, Raimy has sold and managed over 500 million in sales. 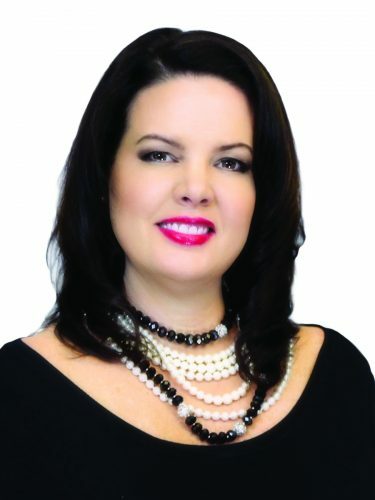 She takes pride in providing extensive hands on involvement to all projects and specializes in full service builder/developer sales, marketing and management. New homes sales/management is Raimy’s expertise and she has sold and managed communities across the nation. Joining BHHS in 2016, Raimy can take a builder to the next level with sales and management. Depending if the builder/developer is wanting skilled sales for just one unique development or the support to design a sales/management platform for multiple sites, she administers it with an in-depth understanding of all the components that are critical to every project’s success. Previously in her career and with starting a large family, she decided to merge her companies with CB and do sales and consulting for Engel & Voelkers. She was recruited to head up the New Home Sales for Georgia. That included loft conversions, condominium projects, as well as both luxury and affordable single family homes. Responsibilities included individual sales, recruiting, staffing, training and sales management. She successfully sold and closed out developments while opening multiple new developments. In 2001-2013, with intense vision and drive, she opened a dynamic real estate company. Elevating builder/developer sales services to new heights. She managed sales that achieved record levels. Developing innovative marketing ideas and with extensive hands on involvement, her company was immensely successful. Dedicated to quality workmanship and a passion for excellence, she managed multiple sites w/ over 200 sold units annually. Before having her own company, she sold both for Pulte Homes Corporation and Phoenix – Eagles Group. First, she won Top Sales Person of the year for every year of her employment with Pulte and then later changed focus from volume building to luxury sales. Selling luxury sales for Eagle, Raimy sold over 30 million in her first 6 months with the Phoenix. Starting her career as a sales consultant, she was later promoted to Trainer and then again to be the National Director of Training. Covering a 28-state territory, she conceptualized and implemented national advertising campaign’s as well as lead 4 regional trainers. She contributes much of her success to an aggressive sales strategy, yielding maximum profitability for every project’s success. Raimy has proven herself to be a big performer and desires to help other’s grow their sales and to help them be the very best.